I’m in a constant quest for the perfect massage chair, but I am yet to find one. Still, I couldn’t ignore the Human Touch brand, which is one of the best on the market. I extensively reviewed its product line. 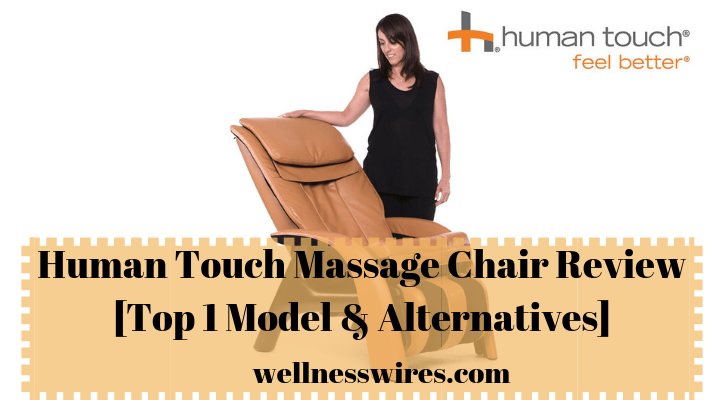 I talked with experts and physical therapists online, to select the best HT massage chairs, to evaluate their features, and to rank them in the top 10 below. I tested all the chairs below myself. I read all the customer reviews about them and organized a focus group with my team. Although expensive, the Novo XT2 offers therapeutic, intense massages and a wide array of massage programs. 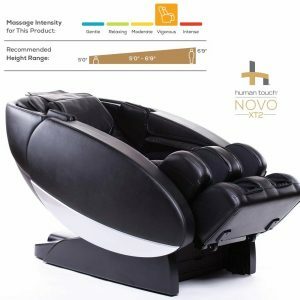 The Novo XT2 is luxury massage chair that is impressed me from first glance with its stylish design, but it also convinced me of its performance. 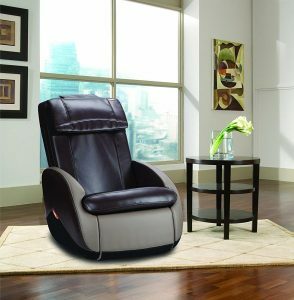 This medical massage chair boasts 35 auto-wellness programs, as well as other therapeutic features like Cloud Touch Acupressure. Besides, there are ten manual techniques to choose from, including the advanced Shiatsu, Swedish and Thai plus the Music Sync option. Because yes, the Novo XT2 sports a performant music system as well. The zero-gravity massage releases pressure off your spine effectively. By placing your knees a bit above your heart level, the rollers take all the weight of your body, which helps decompress your spinal discs and alleviate pain. For the price, though, I would have expected to see three zero-G positions instead of two. Speaking of the rollers, they move on a hybrid track. The SL Unibody Design track has the best of both worlds. The S-track is anatomically correct, so the rollers touch all the pressure points on your back, plus it’s beneficial for total body stretches. The L-track delivers healing deep-tissue massages, and it extends to your glutes and upper hamstrings. The 3D rollers can alleviate chronic or acute pain, as they can move from the track and penetrate your spine. The dual lumbar heat improves blood circulation and alleviates sore muscles, but I would have liked to see more options – maybe feet heat or temperature adjustments. Even if the quad rollers are effective, many users say the massage feels too intense for them. The Novo XT2 lacks body scanning technology too, although there are nine presets to choose, and you can manually adjust the roller position. Although this is a big chair, it’s designed with space-saving technology, so you need just a 2-inch distance from the wall. 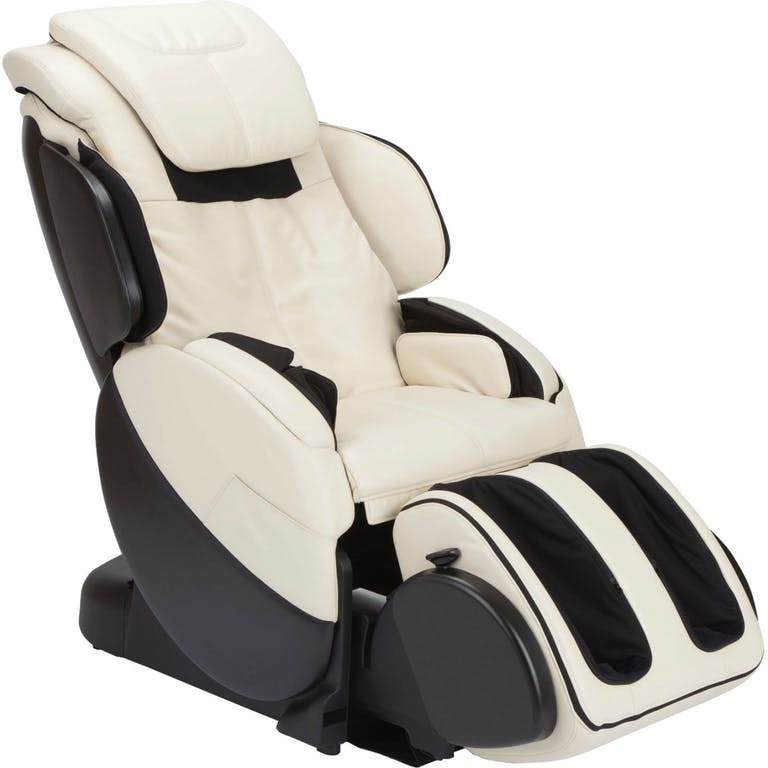 The air massage was soothing, even though it has few air cells compared to other models. There are three intensity levels, and you can activate the air cells selectively for different body parts. The body stretch could have been more vigorous, though, to complement the Thai massage. The calf and foot massage is comprehensive, with dual foot rollers and airbags that take away pain instantly. Feet heat would’ve been a big improvement, for the price. The automatic body shape detection, full body heat and three-layer foot massage are big improvements. The body swivel with the twist is therapeutic for the spine too, while the intelligent self-diagnosis is a valuable medical tool. Besides, the 100 air-cell air massage feels more relaxing and can alleviate muscle tightness faster. The only disadvantage is that the i7 Plus features just nine auto programs instead of 35, so you need to learn to tweak the options yourself so you can get the best massage. The Human Touch WholeBody 7.1 offers a harsh massage, but it’s one of the best to improve blood circulation. The WholeBody 7.1 is more affordable but comes with some reliable features. There are five auto-programs, lumbar warm air technology to relieve muscle soreness faster, plus the BodyMap Pro, which allows the rollers to massage different body parts. I like its swivel-based design as well because it’s space-saving. The main purpose of the WholeBody 7.1 is to relieve stress and to relax sore muscles. However, it can provide mild to moderate pain release. For instance, the patented CirQlation Figure 8 Technology is particularly therapeutic, easing fibromyalgia symptoms. Your feet and legs are massaged in a circular motion, which improves blood circulation. This is a small chair, with no required assembly. 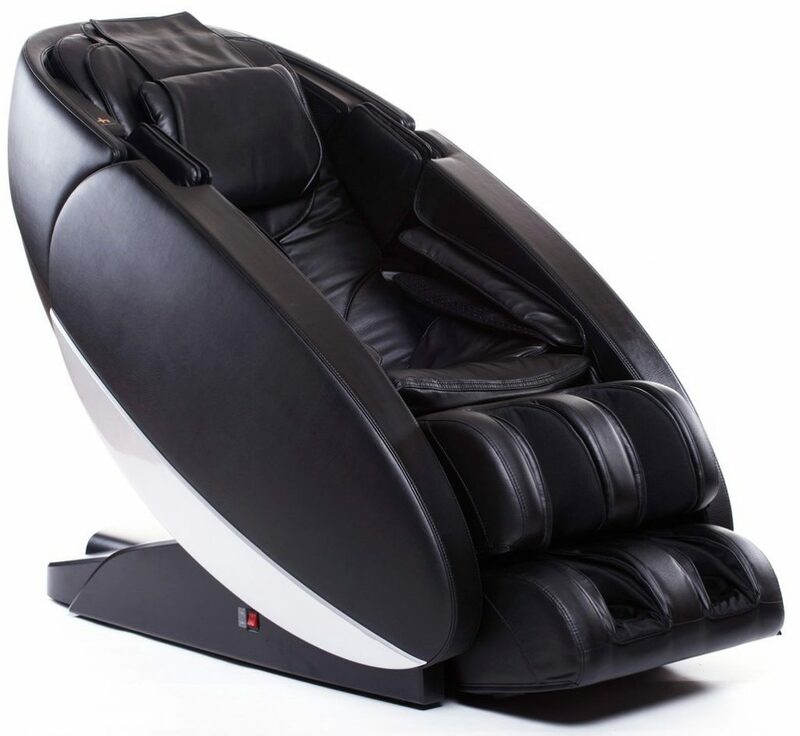 My only problems are that WholeBody 7.1 delivers quite intense massages, plus it’s not a comfortable chair if you want to use it as a piece of furniture. ZeroG 5.0 is a good chair for relaxation, chronic leg pain, poor circulation, and sciatica. 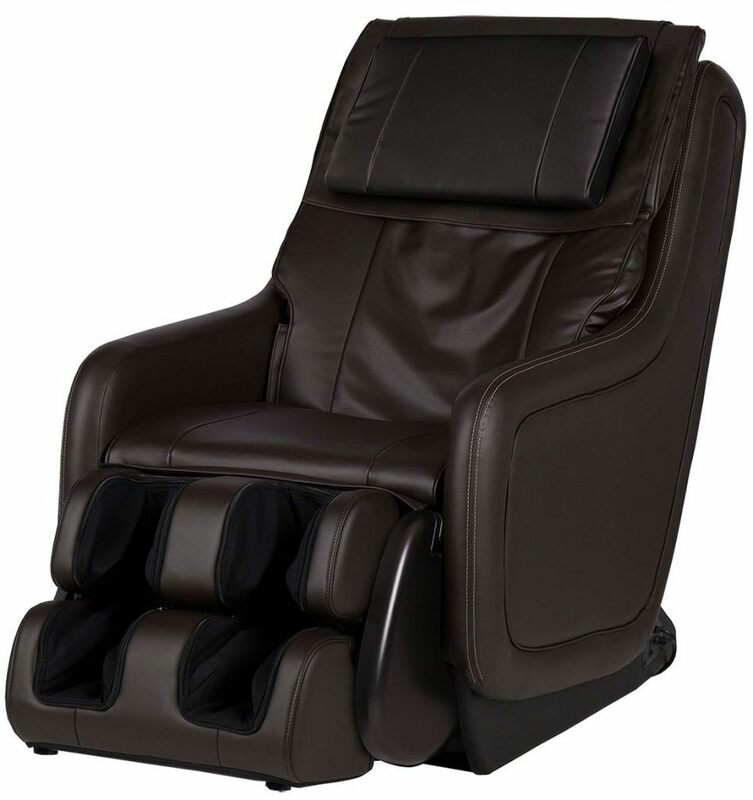 The ZeroG 5.0 is a reliable massage chair, especially in terms of relaxation with the four massage programs called Refresh, Relax, Retreat, and Sleep. There are also some therapeutic benefits to using ZeroG 5.0. With some six massage techniques, including the advanced Shiatsu, you will experience a penetrating spinal massage. The body stretch function works well to alleviate compressed disc pain. I particularly appreciated the patented warm air technology in terms of therapeutic benefits. 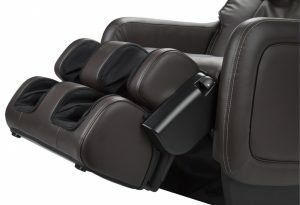 While most massage chairs feature lumbar heat pads, this one boasts hot air which penetrates your sore muscles faster. The zero-G option is a nice addition to decompress your spine by placing your knees above your heart level. This is a more intense massage, and so it’s therapeutic. The foot and calf massage convinced me. Although this chair doesn’t feature feet heat, the vibration and Figure-Eight Technology massages your calves and feet to improve circulation. That’s because the blood flow is pushed upward, to your heart. On the other hand, the air massage is limited, as the chair features airbags just for your glute and thighs. Even so, this compression massage is effective for people with chronic leg pain. The body height customization is a user-friendly addition, as the ottoman extends to accommodate people up to 6’3”. 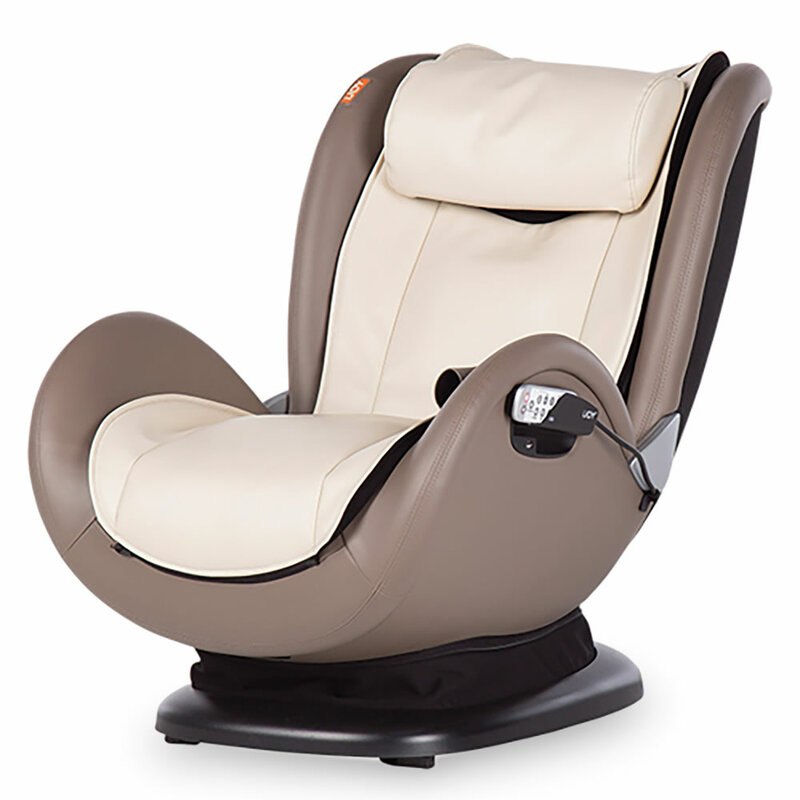 Besides, you can adjust the massage intensity, and the chair comes fully assembled. In a similar price range, Kahuna SM7300 is a better chair IMHO. The hybrid track and cutting-edge six-roller system offer a deeper massage that extends to your glutes. 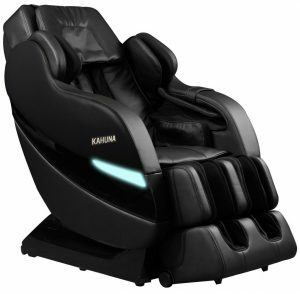 The Kahuna SM7300 has more massage options, including a variety of massage modes, addressed to various groups of people, which you can easily adjust. The Yoga Stretch featured by the SM7300 is more vigorous, providing instant pain relief. Other pluses are feet heat and an effective air massage mode with 32 Second-Generation airbags. The foot massage can compete with that offered by the HT Zero-G 5.0, as it’s a mix of air compression plus scraping, rolling and kneading. Unique user-friendly additions include an adjustable timer plus soft-blue LED lights for chromotherapy so that you can relax faster. The Human Touch ZeroG 3.0 is a compact massage chair for relaxation and improving blood circulation in your feet. The HT ZeroG 3.0 is a good, ergonomic chair with a rotating ottoman and space-saving capabilities, plus worthwhile massage features. This compact massage chair needs a 7-inch clearance from the wall. The three auto-immersion massage programs cater to three different needs: sleep, stress relief, and pain relief. 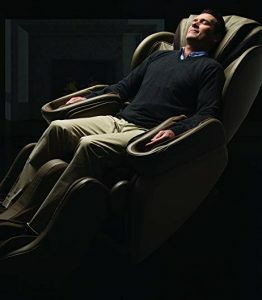 Although the massage options are limited, even taking into account the four massage techniques, I appreciate the ergonomic recline-motion geometry. This means that you’ll glide into an ergonomic, optimal position for each massage. The Zero-G option works well to relieve spinal pain because your body will be stretched and your whole weight will press on the rollers. This takes the pressure away from your spine and intensifies the massage. Figure 8 Massage technology I’ve already discussed for the other HT models improves blood circulation and increases the effectiveness of your foot and calf massage. Add to that the mechanical rollers, and your blood flow will be stimulated to heal chronic leg pain. Speaking of the rollers, these rollerballs are a bit different than the industry norm because they offer a smooth, penetrating motion left-right and in and out. Besides, you can adjust the massage intensity on three levels. If space in your home is not an issue, the feature-packed, therapeutic Kahuna LM6800 is a better chair although it’s bigger. For instance, three levels of zero-G will help release spinal disc pain in a position that feels comfortable for you. The Kahuna LM6800 features both lumbar and feet heat therapy, which improves blood circulation and alleviates sore muscles. 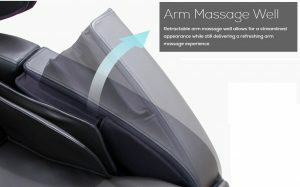 The airbag massage is effective, with air cells that envelop your whole body. Another advantage is the therapeutic Yoga Stretch, which is firm and relaxing for instant pain relief. With heat therapy, airbags and rollers, the feet and calf massage are fairly comprehensive. Figure 8 technology might be better to improve circulation if you have diabetes, but otherwise, the Kahuna LM6800 can improve chronic foot pain considerably. If you’re on a budget, the iJoy Active 2.0 is effective for hobbyist users, who won’t complain about the lack of a full-body massage or extra features. The sleek, compact iJoy Active 2.0 boasts the FlexGlide technology, which I noticed from the start. This technology unwinds your muscles and increases the massage effectiveness because the rollers use constant pressure when they move up and down. I also appreciated the Stretch technique because it improves blood circulation to heal nerve tissues and to remove blood toxins. However, iJoy 2.0 doesn’t feature zero gravity. The 180-degree recline works well to remove spinal pressure though, and you can easily recline the chair with the side handle. With three auto-programs, you can choose an option that fits your needs: either a quick back rub, a neck and shoulder massage or a lower-back option. I would have liked to see more options and techniques though. Even though the iJoy Active 2.0 doesn’t offer a full-body massage, the iJoy foot massager is available for sale separately. This 45-pound chair is easy to move and looks well, but it’s made for petite users. As such, it can accommodate people between 4’10” to 6’0” and up to 200 pounds. 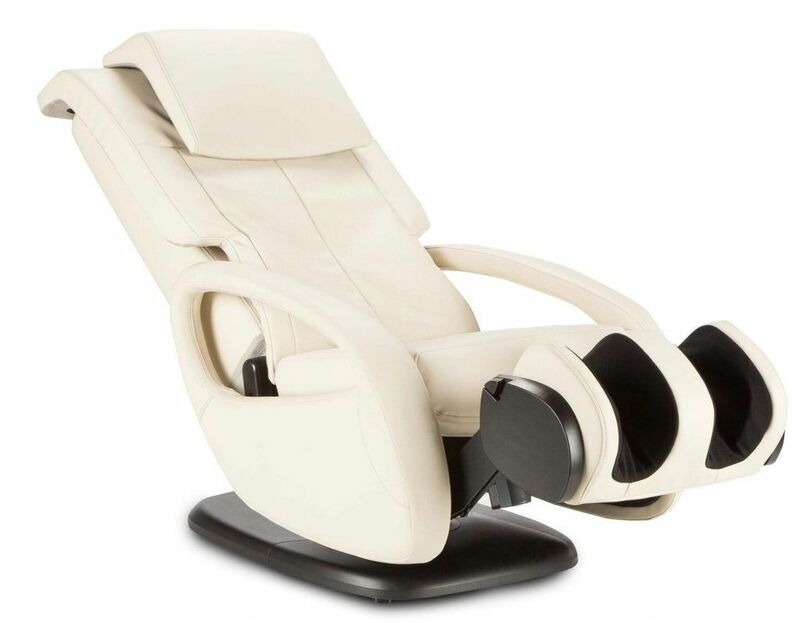 The HT iJoy 2.1 is a compact chair for a relaxing massage after a full day of work. The iJoy 2.1 is an upgrade for the iJoy 2.0, but I’m sure you already figured that out. This chair is built for petite users too, between 5’0” to 6’0” and up to 200 pounds. 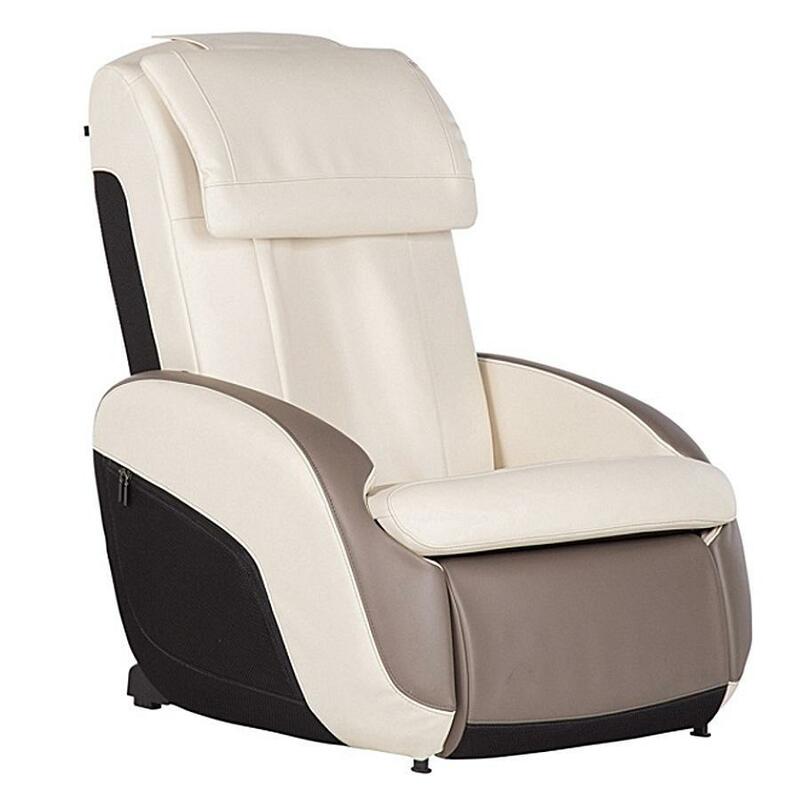 It’s a vigorous massage chair with a 2-year limited warranty and, although it has a compact design, it’s not a space-saver, so you need 9 inches from the wall for when it reclines. The 2D rollers and S-track are the most basic options. This means you’ll only get your back massaged, and the rollers don’t move inwards to your spine for a deeper massage experience. There’s no glute massage, no width, speed or intensity adjustments, no foot and calf rollers, and no zero gravity. 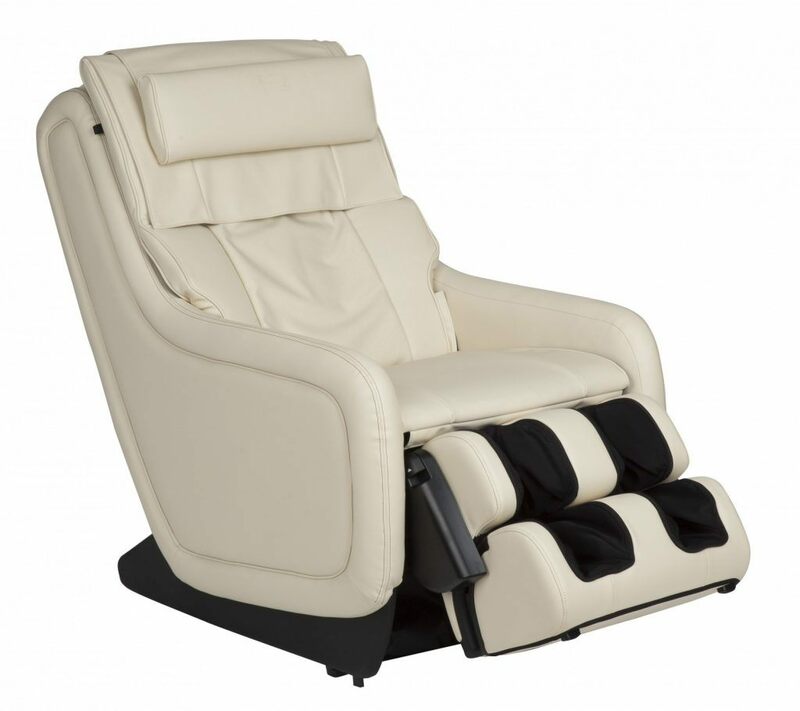 However, the chair reclines to intensify your massage, to relax you and reduce pain. There’s no body scan technology either, meaning the rollers won’t adjust automatically to find pressure points. With no vibration, heat or air massage, the zone massage feels like a breath of fresh air. This allows you to focus the rollers on a specific problem-area on your back to relieve spinal pressure. The three massage programs, Relax, Perform and Recover are the same to those featured by iJoy 2.0. The Knead, Glide and Compress massage techniques are a bit different, although there’s no body stretch. The HT iJoy 4.0 addresses people who want to relax after a difficult day or a taxing workout. 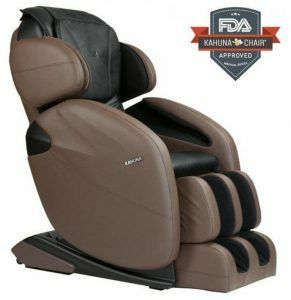 A reliable massage chair in the under $1000 category, the iJoy 4.0 sees some improvements when compared to the previous two HT models. For instance, the glute massage is a welcome addition, not to mention it mimics the hands of a therapist with its knead and gliding motions. These movements apply constant pressure to relax you. There are four massage programs with this model instead of just three: two of them target your whole back, one targets the upper back and one massages the lower back. Another addition to the iJoys 2.0 and 2.1 is the USB port so you can charge your device while you relax. Otherwise, the iJoy 4.0 is similar to the other two models above. It’s a compact chair for petite users; it can recline but doesn’t feature zero-gravity. It lacks all the other bells and whistles of a more costly massage chair, including heat therapy, air massage, vibration, inversion therapy, intensity adjustments, feet massage, and so forth. 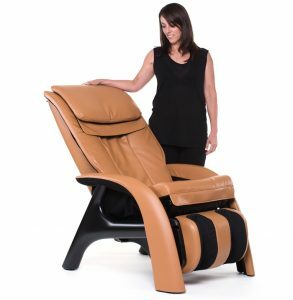 The HT Bali is an elegant chair, for people who suffer from chronic pain and who want a deep-tissue massage. A vigorous massage chairs that can fit users between 5’3” to 6’5”, the HT Bali has a wide array of therapeutic massage features. What impressed me about Bali was its therapeutic 3D massage, Cloud Touch Acupressure, the vigorous full-body stretch, and the auto-immersion experience. You can adjust the massage intensity, the navigation control is intuitive, and you can set the height on nine different levels. The 5-year premium warranty and free white-glove service are other user-oriented extras. 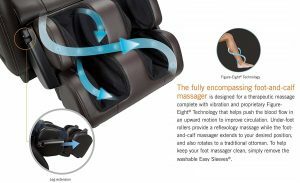 Plus, the rotating foot and calf massager turns into an elegant ottoman, while the removable covers are low-maintenance. The Acupoint Detection is a patented technology that measures your size and contours so that the chair can figure out where your pressure points are. The Cloud Touch massage is a relaxing air compression massage with 30 airbags that target various healing points throughout your body. I enjoyed the upper body compression massage most, but HT Bali delivers a good, comprehensive massage with plenty of massage programs and manual techniques. Even if it has a short S-track, the 3D rollers move inward to your spine, for a deep tissue experience. Besides, the two zero-G positions take the pressure away from your spine and provide a penetrating massage too. Bali has some things missing, like the feet airbags. However, Figure 8 Technology provides an effective foot and calf massage to move your blood upward and improve blood circulation. For the price, I would have also expected to see heat therapy and a built-in music system. 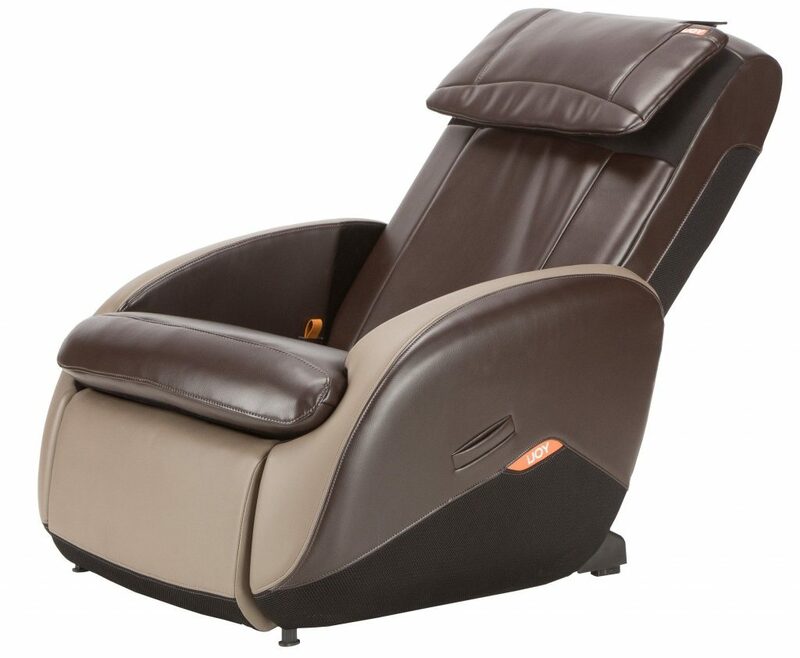 The Navitas Sleep massage chair is feature-packed, affordable and therapeutic. The baby of Human Touch and Johnson Wellness, Navitas misses some of the HT trademarked features like the elegant, furniture-like design. With no hideaway ottoman, the Navitas has other worthy features. Although it boasts a short S-track, this design is ergonomic and follows your natural spine curvature. The standard quad rollers are effective and complement built-in features like the 4D rhythm massage technology. 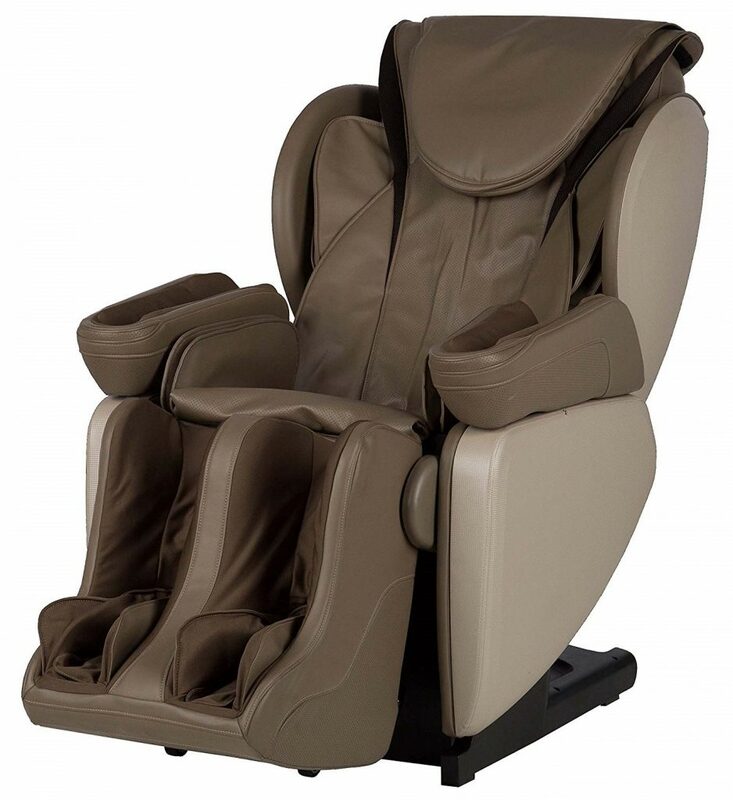 This unique option boasts 104 micro-sculpting plus acupressure massage for stress-relieving and sleep-inducing therapy. The auto body-scan is precise and complements the above features, but you can also adjust the rollers yourself in 2mm increments. The zero-gravity technology is another plus, as it can alleviate back pain quickly and offer a deep-tissue massage. The air compression massage done with 21 Second Gen air cells is fairly decent, although other top-tier massage chairs include more airbags for a more comprehensive massage. I also enjoyed the vigorous body stretch because I could feel it relieving pressure from my spine. The stretch is effective in improving blood circulation and alleviating chronic or acute pain. The foot and calf massage is effective too because it uses 3D rollers, airbags and heat therapy. These features will improve your blood circulation and unwind sore muscles. 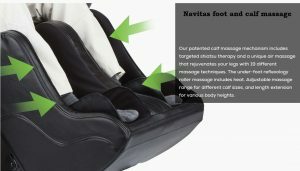 The Navitas comes with a large number of included options, such as 36 auto programs, 3 to 5 intensity levels depending on the massage type apart from the 4D rhythm programs. 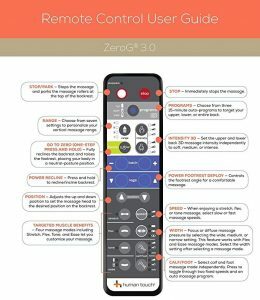 However, the remote has a learning curve, at least until you figure out how these programs and techniques work. If so many options scare you, the Navitas comes with a helping hand: the memory function with eight memory slots. A small, solid, reliable chair with zero-gravity, the HT Volito is best for hobbyist users and for treating chronic leg pain. 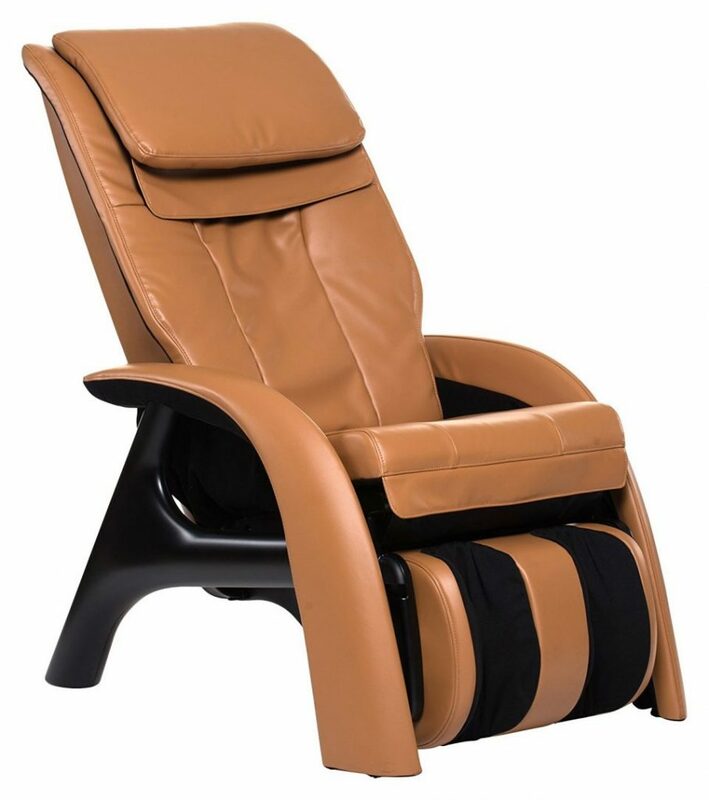 This stylish massage chair boasts an S-track design with quad rollers to follow your natural spine curvature. 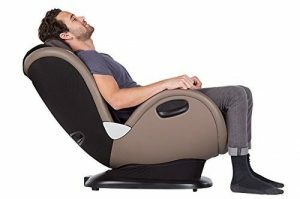 The one zero-gravity position might not seem like much either, but you don’t see that for most inexpensive massage chair in the $1000 category. Zero-g will press your bodyweight into the rollers, alleviating compressed disc pain and increasing the massage intensity. You can also adjust the roller position and roller width very precisely; there’s a zone massage function to target a specific pressure point so you can alleviate chronic back pain, plus a hideaway ottoman. The calf and foot massage is therapeutic, with a Figure-8 technology that uses paddles to move your blood flow upwards. That’s where Volito stops being out of the ordinary. You can’t adjust the rollers’ intensity for the foot and calf massage. There are just three basic massage techniques, Kneading, Percussion and Rolling, and three massage programs for your upper, lower, or whole back. Although the Volito has two therapeutic features (zero-gravity and Figure 8 massage technology for the feet), there are other, more therapeutic models on the market. The Kahuna LM6800 offers three zero-G positions for spinal pain, lumbar and feet heat to unwind sore muscles and to improve blood circulation, plus a vigorous Yoga Stretch for chronic pain. Besides, the LM6800 has a hybrid SL track, which is ergonomic and makes for effective stretches. 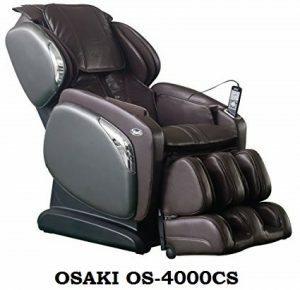 The Osaki OS-4000CS has L-track rollers that extend to your glutes, seat vibration, compression massage, lumbar heat, and a USB charging port. The Human Touch Novo XT2 is my best choice and top of the line. That’s because the Novo XT2 is the most versatile HT chair I’ve reviewed, it provides an intense back massage, it’s customizable, fits a wide array of users and boasts a built-in music system. The Luraco i7 Plus is its closest competitor and is considered the best massage chair right now. However, if you’re looking for a budget alternative, the Kahuna 6800 or Kahuna 7300 are reliable therapeutic chairs too.